The Malvern Hills are regarded as an Area of Outstanding Natural Beauty with stunning scenery. It therefore comes as no surprise that Jon and Gill Flewers wanted to maximise these views when constructing their ‘upside-down’ house on the hillside overlooking the picturesque district of Malvern. The nature of the project was complicated due to the location as the client wanted to build their dream home on the side of a considerably steep hill. 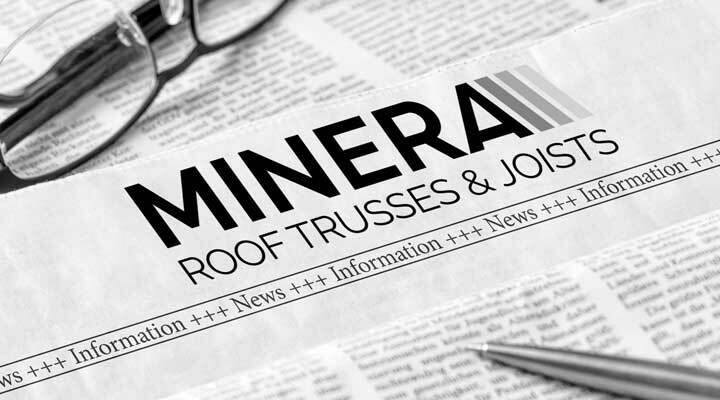 The Flewers were recommended Minera Roof Trusses by a building contractor that Jon had met on a building course who had previously worked with us. 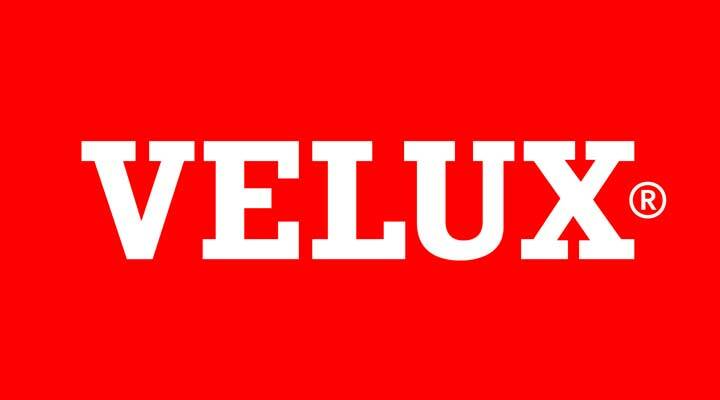 Upon contacting us, they were impressed with our clear and straightforward approach and the customer support offered. The project presented a challenge from the start as the site of the build had a very narrow steep road leading to it, which was the only road that the joists required for the construction could be transported on. The client also required joists that would be compatible with a Mechanical Ventilation and Heat Recovery (MVHR) system which allows for warm moisture inside the house to be extracted and passed through a heat recovery cell, the remaining air is then discharged outside of the house. It also allows for fresh air to be brought inside which is then warmed and distributed to the living area and bedrooms. 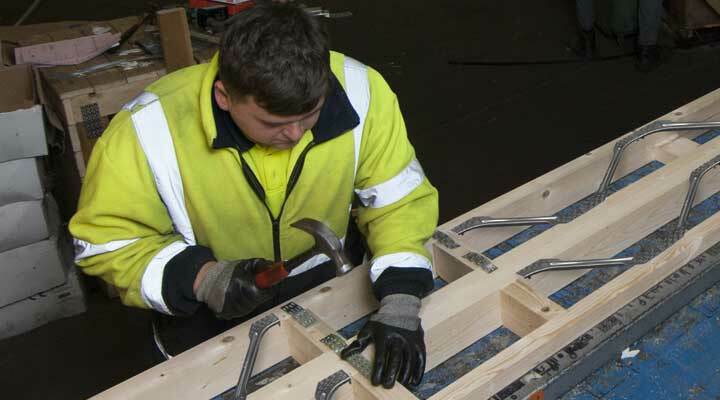 Our joists are extremely strong due to the high density, galvanised steel plates that are used to manufacture them. Futhermore they are also very lightweight, this provided the essential portability factor required on this project. Our customer service team liaised with the client to explain these benefits and highlight the suitability of using metal web joists on this project. This knowledge allowed the client to confidently select Minera Roof Trusses to supply the high quality joists suitable for the project. Our design team were able to generate the proposed structure using our 3D joist planning and design software to generate the design of the upside-down house roof infrastructure. The client was initially looking for a metal web joist supplier that would be able to transport the joists to the required area on a very steep hill without the use of a crane. 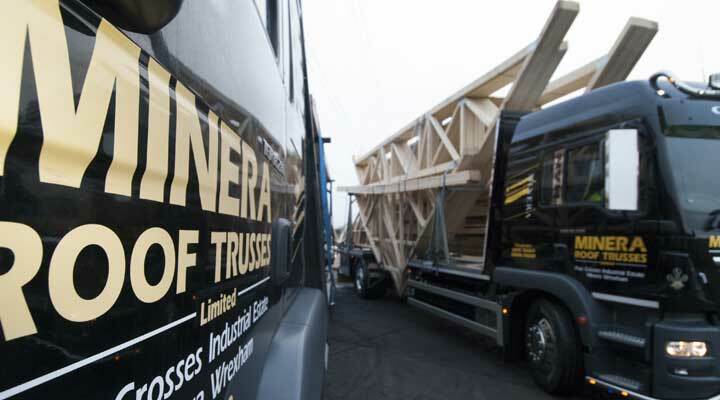 Minera Roof Trusses were chosen as the joist suppliers of choice as the clients were impressed with our high quality customer service team. The client was also delighted that our metal web joists are light enough to be carried up the exceptionally steep hill, which other suppliers were unable to do. This meant that there was no need to use a crane, minimising logistics and expense. Furthermore, our metal web joists are designed and produced by our highly skilled team so that the MVHR system and large piping could be integrated within the joist system easily without compromising on strength. In addition, the Flewers took advantage of our Easter offer and received 20% off their order. Due to the nature of the incredible location and uniqueness of the house, Grand Designs filmed the project to highlight the ambitious nature of the build in such a scenic and complex location. The presenter, Kevin McCloud, highlighted how ex-RAF pilot, Jon and GP Gill Flewers were determined to buy a plot of land from New Zealand prior to returning home to commence the build, without seeing it first and then build a three-storey wood and stone clad home that embraced the stunning Malvern Hill’s scenery. Minera Roof Trusses were amazing. From first contact to final delivery and beyond, they went the extra mile to produce a product that ticked all the boxes we needed for our unique home in its challenging location. The product was perfect for our needs. Once happy with the quote, the turnaround time was very rapid and the joists were on site in a week and ready to be installed. All the members of staff I dealt with were always friendly and effective. Minera Roof Trusses are exceptionally proud to have worked on such a unique project that gained media attention, featuring in various news articles and the highly renowned tv programme, Grand Designs. The client was impressed with our customer service and high quality metal web joists which accommodated the large span required whilst still being lightweight, durable and for any trades to easily install electrical wiring or joisting systems as per the initial brief requirements. We wish Jon and Gill Flewers the best of luck in their new home!